Let’s Discuss: When are you a partner? One thing from my dressage lesson that really stuck with me (beyond how to get my tail out from between my legs), was my trainer stating that it was likely going to be a year before I felt a real partnership with Smitty. It’s 2 months in, and though I’m getting to know him a lot better, I’d have a hard time describing him as a partner. Right now, much of our relationship seems to be focused on what happens on the ground, more so than in the saddle. Our communication feels like it’s constantly “please stand still,” or “give me your hoof” and more often than not, “don’t eat that,” followed by, “no, seriously don’t effing eat that!” (especially when it comes to my PS of Sweden reins!) Rather than partner, I feel like my role is teacher and often disciplinarian, and he is the unruly pupil with ADD. Get that out of your mouth Smitty! Our time in the saddle is getting better, in that transitions are coming easier, he’s coming on to the bit more consistently, and we survived our first jumping lesson together. All accomplishments that I’m proud of, to be sure. Is it the groundwork and our relationship out of the tack why I don’t feel the partnership yet? Not to say that I don’t like Smitty, I do, he cracks me up and I think he’s got all the tools to help me accomplish my goals and more. And I think we’ll get there. It’s all about the journey for now, moving towards that partnership one little step at a time. What is it about your horse that makes him feel like a partner? Was there a transitional moment that made you feel like a team? What is your greatest accomplishment together? If a partnership didn’t develop, what made you realize this? These things take time. Some take more time than others. This has taken vastly different amounts of time for different horses- with some, I’ve ridden them for months without “clicking,” and with others it feels very much like a partnership almost off the bat. But even with Frankie, who very much felt like a partner very early on, it’s been a progression. However aligned I felt with him back in April, it’s like 1000x more so 6 months in. I will say that groundwork plays a HUGE role in how I connect with my ride- I had a really tough time connecting with my gelding in high school until we sorted out his ground manners and built a better relationship that way. After that, the connection and partnership grew exponentially. I think once I can trust Smitty to behave himself on the ground then we’ll feel a lot more connected too. I’ve had Isaach a year this past June and even though we have done a lot of stuff on the ground (teaching him to lunge, ground driving, lots of trail walks, some trips off the farm, etc) because he has been a baby and no under saddle work with me so far (although that is to change very soon! ), I don’t feel like he is a partner. He’s more like a larger version of the corgis. haha. I cannot remember when my last true partner started to click but at some point he very much ended up feeling like my “better half”. I think it does take time and lots of experiences together and when you both really start to trust each other because of those experiences. That’s so funny that it’s almost the opposite for you- you’re so far along on the ground compared to Smitty and I! Maybe it’s just being in tune with the horse in *and* out of the saddle that creates the partnership we seek. I think Isaach is going to make an incredible partner for you and I look forward to more updates! It took quite a while for me to feel that way too. Always does. One day it just occurred to me that I really trusted my horse, and he trusted me, and that was when we felt “official”. Trust is definitely a huge part of it, I think. And right now I can see that it’s going to take some time to trust Smitty both on the ground, not to bite my backside, and in the saddle. It did take at least a year for me to feel a true partnership with Drifter. In his 5 year old year (particularly over the summer), he grew up both mentally and physically in a very noticeable way. The fidgety-ness stopped, the mouthiness (sort of) stopped and he just felt all around more like a grown-up horse than a baby. So hang in there, keep doing what you’re doing and trust that he will mature. The really cool thing is that you get to help him mature into the kind of partner you want him to be! I really hope Smitty improves as a 5 year old. The last two horses I had, Foster and Ivan, both went through bratty teenager types years where they started testing me and you didn’t know what horse you were going to get on a given day. If Smitty follows Drifter’s example I’d be thrilled! From what you’ve said, Smitty has a similar personality to Drifter so hopefully that holds true! I can’t pinpoint a certain moment in time, and Lord knows we still have our issues, but I think that I began to really feel a partnership with Dino when we had a unique shared language. I could move around him with total ease and he would just know what I wanted. We had our own routines and rituals. Every movement and expression of his felt familiar to me, and I knew exactly how he would react in every situation. He began to respond to my style of riding as I molded it to fit his quirks, and there was a different, deeper kind of communication that started to happen. Like a good pair of boots, as a horse and rider mold to fit each other, I think that’s when a real partnership begins! That makes a lot of sense. Smitty is smart and he’s starting to learn my habits, but I don’t get the sense that he’s quite ready to acquiesce any real control to me. Like others have said, I guess it just takes time! I think the year thing makes a lot of sense. It didn’t take a full year but I would say that Annie started to feel like a partner in may or so. We went on a lot of adventures and when I got to where I felt like I knew the horse I would have that’s when she was really my partner. My trainer always told me a year too. With my first mare, Nina, it took longer because I was getting over my big accident at that point. With Lucy, a year is pretty accurate. Sure, I knew *how* to ride her before then, but it didn’t get pretty, we weren’t speaking the same language for at least a year, and we weren’t really good until two years in. The gifs are epic! Time, time, time, and ground work are the answer to parnership. Ground work can involve actual work with the rope halter etc, but also just grooming, or chilling together in the stall or pasture, taking dumb pictures together, laughing at his antics or crying into his mane. It definitely took me a solid year with Isabel before we felt like true partners. I’m hoping it’ll be faster with Charlie just bc his general inclination is to see ppl as the answer not the problem (a testament to the care and love he got from his former owners and trainers on the track). But yea. It’s still very much a work in progress. I’m trying to focus heavily on the ground work too even tho it isn’t my favorite and I’m more comfortable in the saddle – just for the reasons you state. It is definitely helping forge a connection. It took me about 2 years to decide I liked Nilla. And even that’s up for debate some days. 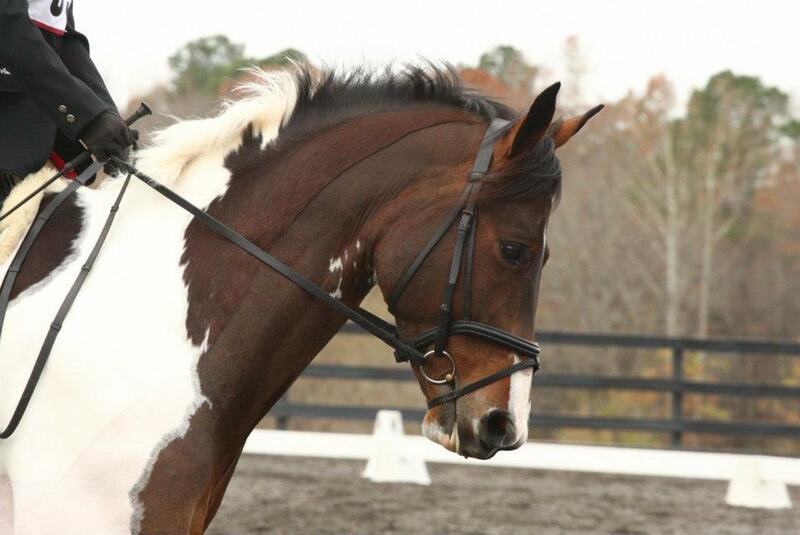 I really don’t think my partnership developed until I started dressage. Yeah I’m pretty sure we went 6+ years with me obsessing over him and him thinking I’m alright. Maybe it’s because I’m an older (maybe wiser?) adult ammy now, but my strong feelings of partnership kind of come and go… usually along with my confidence. What truly instills my feeling of partnership is when Miles helps me out when I need it, and then in short order I can in turn do the same. For example, and the horse show I found a long spot out of a line over an oxer, and Miles took the spot without a ton of decision making from me, and then landed without playing. In the next line, I rode up and made a decision about where to leave the ground. I came out of the ring after that round and really felt like we were a team.